If you’re in the market for a tablet case, you know how varied the market can be. But we’ve taken the time to show you the top five tablet cases of 2018. There are many different sorts of tablet cases to fit all needs and budgets. Some prefer a simple sleeve, while others may like a more complicated case with keyboard. Some are made specifically to protect the tablet from the rigors of children, and others are made to look sleek and professional. Why should I buy a tablet case? Tablets are far more prone to drops or accidents as compared to computers or laptops. It’s important to have a case to protect your investment. A case can also help you use your tablet more efficiently if the case comes with a keyboard. 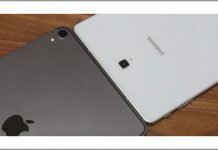 What is the price range on tablets? Tablets can come as cheaply as $5 and can go up into the $100+ range. It all depends on what you need the tablet to do and how fancy you wish to get. We tried to take in as many uses for tablets as possible. As there are several different tablets on the market, we decided to focus on the most famous tablet: the Apple iPad. However, if you use another brand of tablet, many of these manufactures make cases for different tablets. We wanted to experiment with some high-end keyboard cases, as well as simple sleeves and ones made for children to give you a broad look at the tablet case market. Tablets come in all shapes, sizes, and prices. It all depends on what you would like the tablet to do for you. A simple sleeve can even be purchased at a dollar store, if you’re going very low-budget. However, some of these tablet cases basically turn tablets into computers, and thus these are more of an investment. Expect to spend between a couple dollars to over a hundred dollars, depending on your needs. 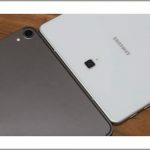 Mid-ranged tablet covers are usually between $6 to $130. This one is great for the person who can’t decide between the portability of the iPad Pro or the functionality of a full laptop. The Logitech Slim Combo Keyboard Case is the perfect partner if you want your iPad Pro to do it all. The Logitech Slim Combo Keyboard Case has a backlit keyboard that is full size, so no compromising on your typing technique. However, you can also remove the keyboard at will and keep the rest of the case on the iPad Pro, so it’s easy to drop the keyboard bulk if it’s not needed. If you’re the type that went for the Apple Pencil, the Logitech Slim Combo Keyboard Case has a place to stash it. Excellent functionality in a slim build. Exclusively compatible only with iPad Pro. The Logitech Slim Combo Keyboard Case is available from Amazon for $129.99. The Logitech Slim Combo Keyboard Case is available on Amazon and can also be purchased direct from Logitech. If the Logitech Slim Combo Keyboard Case is defective out of case and purchased from Amazon, Amazon offers a 30-day return policy. Logitech offers a one-year limited hardware warranty on the product. 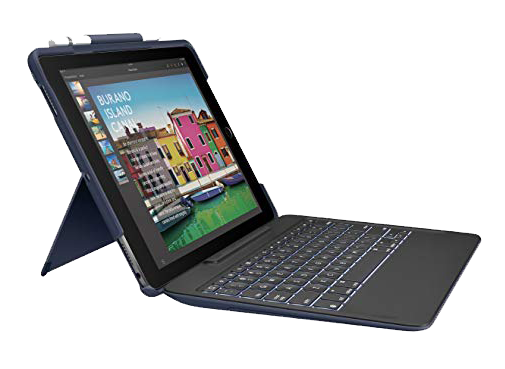 Another winner from Logitech, the Logitech Slim Folio Keyboard Case is designed for the regular Apple iPad, not the Pro. This one comes with all the quality you expect out of Logitech and also has a keyboard attached for easier typing. The battery inside the case will power the keyboard for up to four years. There are a number of iOS shortcuts embedded into the keyboard of the Logitech Slim Folio Keyboard Case. The batteries that power the case can be switched out if necessary (but their long life means that you’ll probably end up getting a new tablet before this is necessary). The keyboard is generously spaced, so you won’t need to do a lot of adjusting to be able to type efficiently on it. Keyboard is small in size and nondetachable. The Logitech Slim Folio Keyboard Case can be bought from Amazon for $79.99. 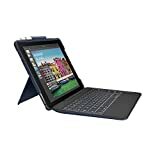 You can buy the Logitech Slim Folio Keyboard Case from Amazon or from Logitech directly. Amazon offers a 30-day return policy if your Logitech Slim Folio Keyboard Case is defective upon receipt. Logitech also offers a one-year limited hardware warranty. For those who don’t buy iPads or just don’t want to drop a lot of money on a protective measure for the tablets, the Amazon Basics Tablet Sleeve provides a simple and cost-effective way to protect without all the fuss. 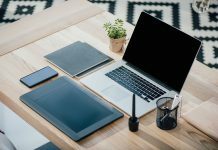 This is a basic sleeve that comes in a variety of sizes, so no matter what kind of tablet you have, you’ll be able to get one that works for you. The price point is also very attractive. The Amazon Basics Tablet Sleeve is simple, sleek, and gets the job done. With the eight different sizes to choose from, you’ll find one that meets your needs. It is a padded sleeve that comes with a sturdy zipper that can withstand years of use. There are also five different colors to choose from, including classic black, bright blue, neon pink, subtle gray, and cheerful purple. Very conventional, lacks other attractive features. It won’t prop up the tablet. You can buy the Amazon Basics Tablet Sleeve for $6.49. 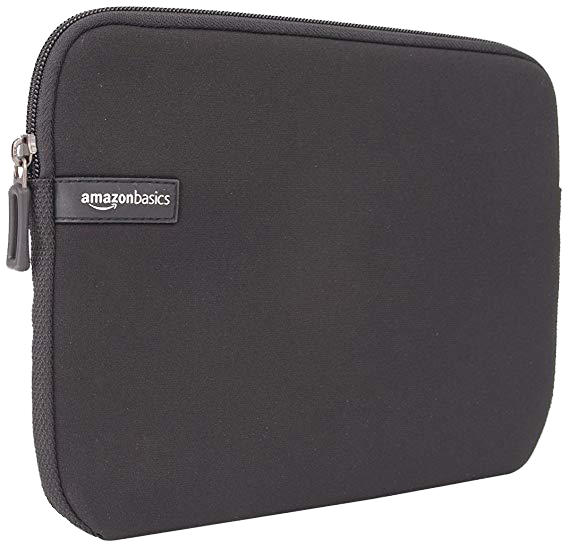 The Amazon Basics Tablet Sleeve is available on Amazon and has Prime. If the Amazon Basics Tablet Sleeve arrives damaged, Amazon will refund within 30 days of purchase. The New Trent iPad Case offers protective benefits for the iPad while possessing a handsome, rugged look. It doesn’t have a keyboard but offers an extremely high level of protection, which is great for those who use their tablets in rough environments. The New Trent iPad Case offers a very rugged-looking exterior that offers premium iPad protection. If you’ve got children using your iPad, this is about as bulletproof as you can get. There is an integrated screen protector. 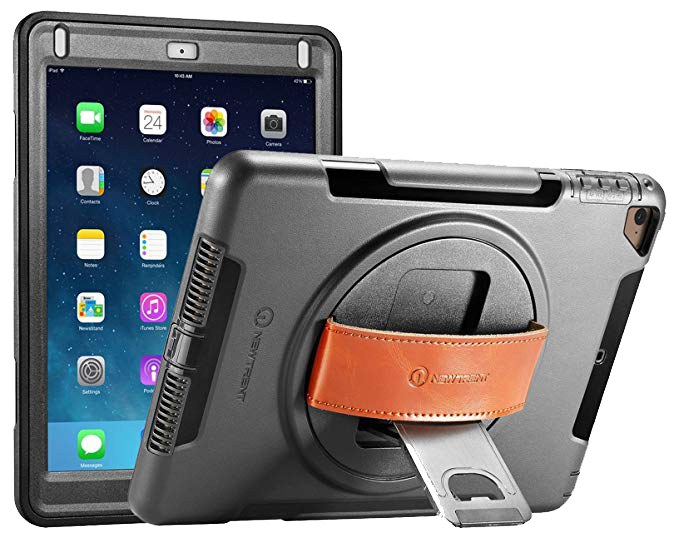 The kickstand makes putting it on flat surfaces for viewing a breeze, and the leather hand strap makes one-handed use of the iPad easy. Exterior offers more protection with the rugged texture. Comes with a screen protector. The kickstand and the hand strap make it convenient to use in any type of environment. The hand strap is convenient to view the screen effectively using only one hand. It can be cumbersome to take the iPad out of the New Trent iPad Case regularly. The New Trent iPad Case is $28.95 from Amazon, making it a good mid-priced option. The New Trent iPad Case comes with a limited six-month original manufacturer warranty from the date of its original purchase. This is a great iPad cover for those of you who have little ones who are using the device. 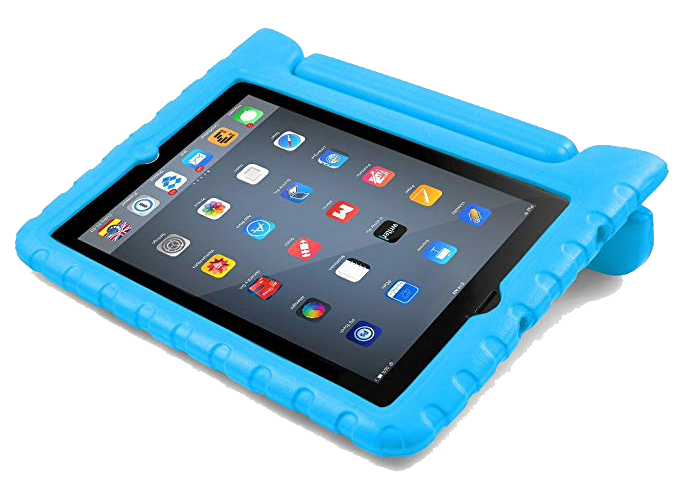 The BUDDIBOX iPad Protective Carrying Case is made out of soft and protective foam, which makes it kind to little fingers and extremely protective for an iPad that is likely to see its share of drops. 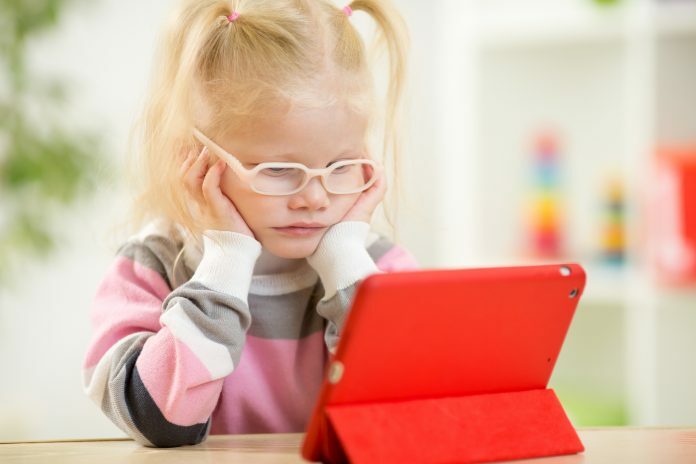 The many colors are also fun for children and make it more difficult to lose sight of the iPad if dropped in an awkward area, such as on an airplane. The BUDDIBOX iPad Protective Carrying Case is made out of the same kind of foam that is used on the bottom of sneakers, so it’s extremely durable and forgiving, which is probably its main selling point. It comes in six different bright colors and is clearly designed to be kid-friendly. The charging port is covered so that little fingers aren’t tempted to try and stick things in there. User friendly specially for kids. Handy grip handle that makes it easy to carry around. The handle can also be bent backward and used as a support to prop the iPad for easier use. It can also be tricky to reach the “off” button. The BUDDIBOX iPad Protective Carrying Case is $22.95 on Amazon. The BUDDIBOX iPad Protective Carrying Case can be bought from Amazon or directly from BUDDIBOX itself. The BUDDIBOX iPad Protective Carrying Case comes with a one-year warranty from BUDDIBOX. The sheer range of tablet case purposes make it difficult to settle on just one. If you’re just in the market for something simple, then the Amazon Basics Tablet Case can’t be beat. It does its job and doesn’t command a crazy price tag. However, we admit that we are partial to the cases that include keyboards. 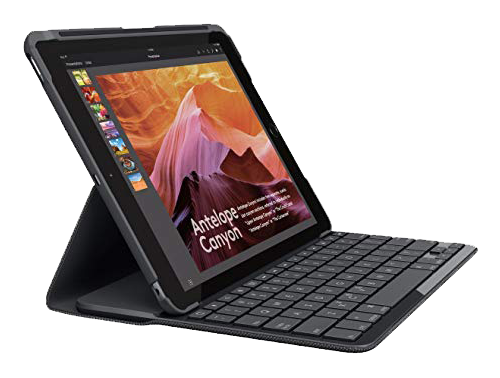 Thus, our top pick overall is for either the Logitech Slim Combo Keyboard or the Logitech Slim Folio Keyboard Case, depending on if you have the iPad Pro or just an iPad. These will take your tablets to the next level and basically turn them into either a notebook computer (in the case of the iPad) or an actual laptop (in the case of the iPad Pro). 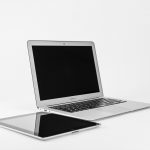 Just that, unlike many laptop and notebooks, these tablet-computers have touch screens!